A very poignant internment ceremony will be held at Arlington National Cemetery on December 4, 2018, when father and son will be interred together. 1st Lt. Eugene P. Ford, a B-24 Liberator pilot who died during the Battle of the Bulge in December 1944, will be interred with the ashes of his son Richard Stanton Ford who died in Vietnam. This ceremony has been made possible through a joint international project that is the subject of a documentary film, NOVA: Last B-24, that will be screened on PBS on the 7th November. 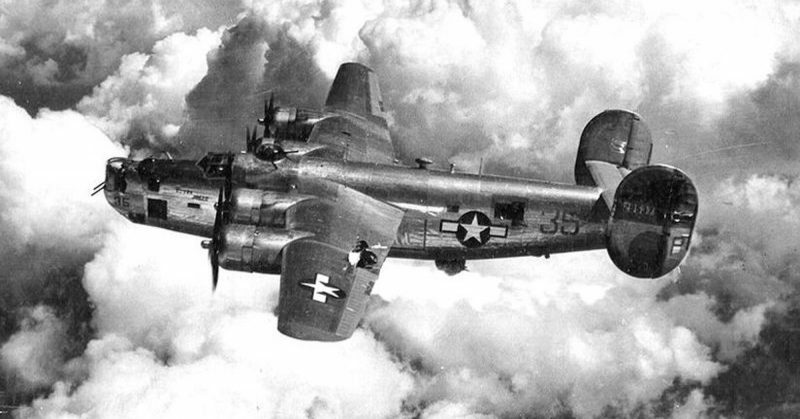 A Consolidated B-24 Liberator from Maxwell Field, Alabama. 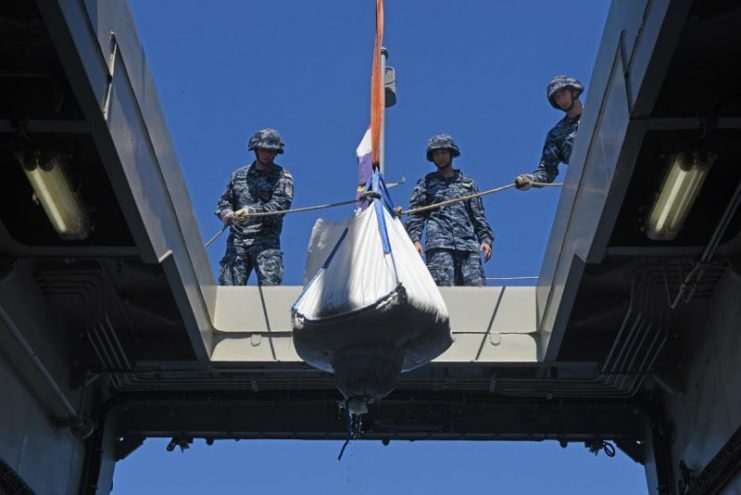 The members of the project team that made the recovery of 1st Lt. Ford’s remains consisted of the Croatian Navy, the US Department of Defense, the USA POW/MIA Accounting Agency’s forensic anthropology lab in Hawaii, and a crack team of underwater archeologists. In December 1944, on the second day of the Battle of the Bulge, 21-year-old Lt. Ford was piloting a B-24 Liberator bomber that was named Tulsamerican. 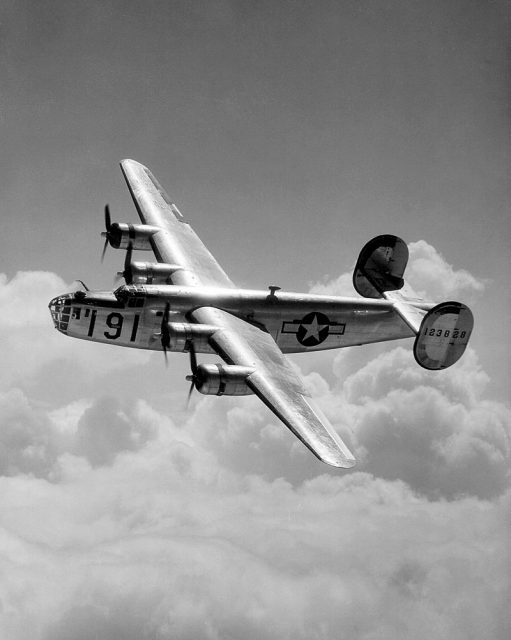 This B-24 was the last bomber to fly off the production line at the Douglas Aircraft Company that was based in Tulsa, Oklahoma, and it had been paid for using war bonds raised by the workers at the factory. They had also designed the unique artwork, including their signatures, that had been painted onto the nose of the aircraft. 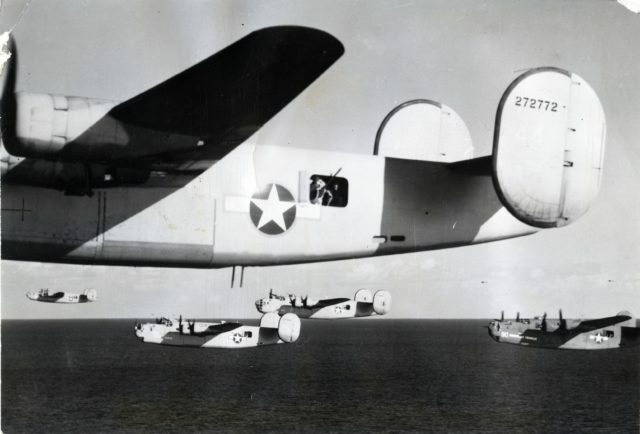 Military records show that the Tulsamerican led a flight of six B-24 bombers that left on a mission on December 17, 1944, to target oil refineries at Odertal in Germany. 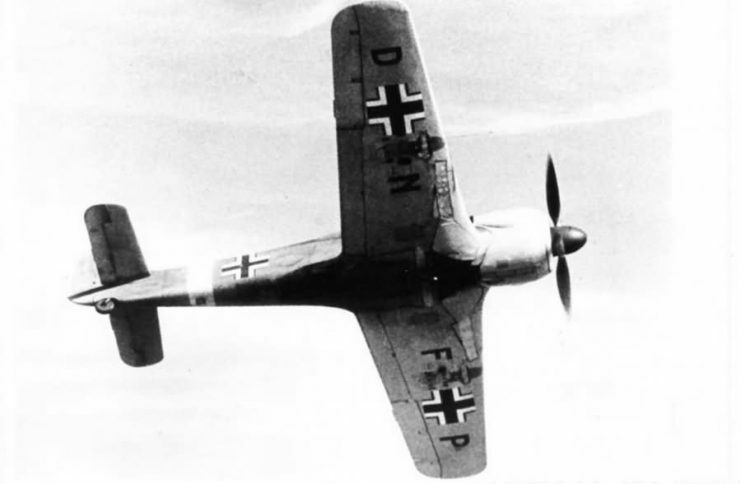 As the plane emerged from a bank of clouds near the target, they were attacked by over 40 German FW-190 and ME-109 fighters. 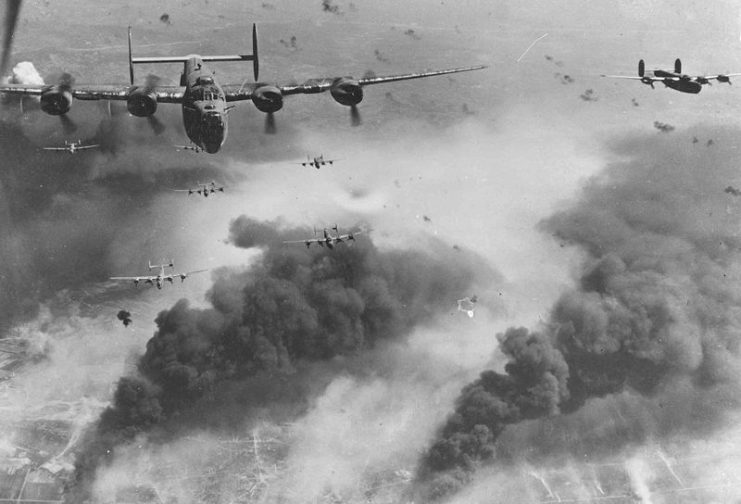 The six B-24s stood very little chance against such a large number of fighters, and three B-24s were shot down. The remaining three were heavily damaged. The Tulsamerican sustained massive damage and Lt. Ford was forced to crash-land in the Adriatic Sea, close to the Isle of Vis, in what is now known as Croatia. Of the ten crew members, three (including Ford) were killed while the remaining seven were rescued. 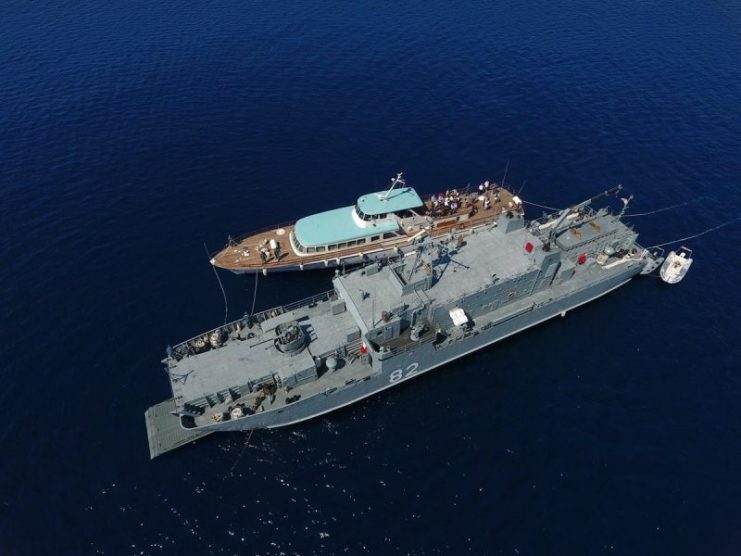 The Tulsamerican lay under 130 feet (almost 40 meters) of water on the floor of the Adriatic Sea, protecting her sad cargo, for over 70 years until Croatian divers found her in 2010. Using a serial number located on the wreckage, the plane was identified, and a series of events was launched that resulted in a formal 19-day rescue mission that took place in July 2017. Brendan Foley, a prominent underwater archeologist from Lund University in Sweden, led a dive with a highly skilled team of archeologists. 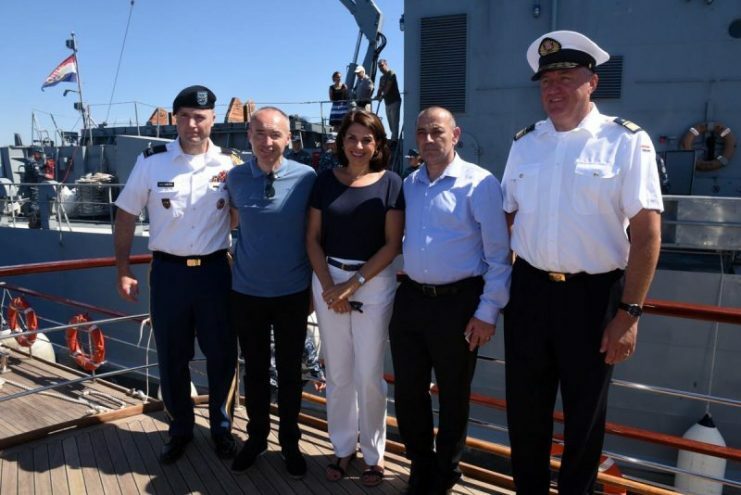 They had received permission to recover human remains and certain other items from the site but had strict instructions not to disturb anything that was lying on the seafloor as Croatia acknowledged the wreck as a national historic monument. 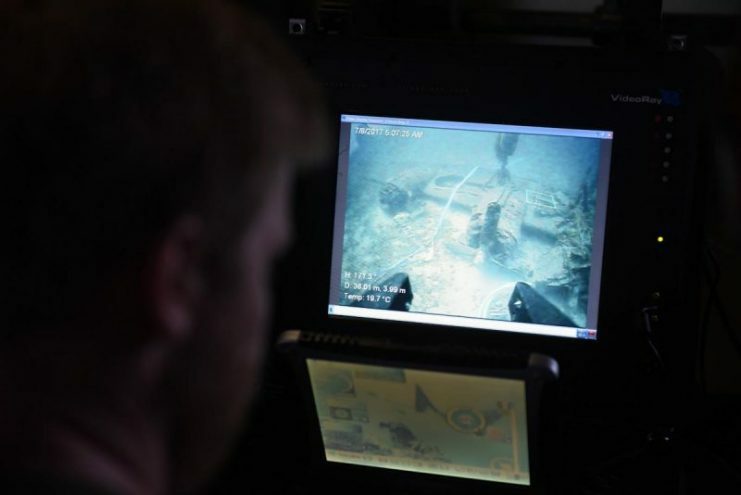 The archaeological dive team found human remains around and under the armored pilot’s seat at the pilot’s position. They found a Mae West life preserver and a flight boot with a shoe inside. Foley remembers telling Lt. Ford to ‘rest easy’ when they saw the remains and that that they would take good care of him. The other two casualties from the Tulsamerican were not found, those of navigator Russell C. Landry and flight engineer Charles E. Priest. At this time, it is uncertain whether another project will be undertaken to search for the remains of these two men. While the rescue was going on, Lt. Ford’s only remaining child, Norma Ford Beard, aged 74, heard that there was a recovery project underway, but it took a further five long months before she was told that the father she had lost as an infant was finally coming home. The scientists at the POW/MIA Accounting Agency’s forensic anthropology lab in Hawaii have painstakingly confirmed the remains recovered as those of Lt. Ford. To do this, they had to match mitochondrial DNA, which meant locating a relative from Ford’s mother’s line. Eventually, they found Betty Rochester who was living in Ohio. Betty and Norma were cousins but did not know about one another. In January of this year, officials from the DPAA contacted Norma Beard and gave her Lt. Ford’s gold wedding ring, which had been found in the remains. Norma Beard grew up with her mother and step-father and knew very little about her biological father. Her mother, Marian McMillen Ford, had told her that Norma and her father had met once when she was three months old, and he was home on leave. Richard, her biological brother, was born nine months later. Marian McMillan and Eugene Ford had grown up together in Derry Township and went through school together. The school sweethearts married in the summer of 1943 after Ford completed his cadet pilot training. Beard recalls using the internet to search for information about her father, and she was contacted by several WWII veterans that knew her dad. They told her that Ford had started as a mechanic on B-24s but had become a cadet pilot due to his knowledge of the aircraft, his dedication, and his hard work. He had gone on to become a highly respected pilot. She soon developed a deep respect for the bravery and dedication of these men and realized how the luck of the draw, to a large extent, determined who lived and who died. Beard and her nephews will attend the internment ceremony at Arlington along with Betty Rochester and her grandchildren. Beard’s brother, Richard, served his country in the Navy for 20 years and undertook two tours of duty in Vietnam. Richard passed away in 2008. Richard had asked Beard to ensure that if their father’s remains were ever located, they would be interred at Arlington. She has kept her promise to her brother and has also ensured that Richard’s ashes will be placed alongside his father, together at last.